This week is LGBT health awareness week. How much do you know about LGBT health? Come find out this Thursday at GM 7! 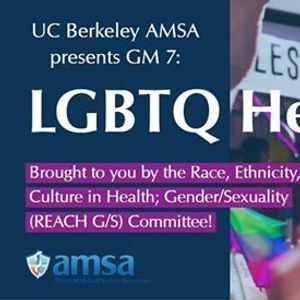 This week's GM brought to you by the Race, Ethnicity, And Culture in Health, Gender/ Sexuality (REACH G/S) Committee!